The good old Amby. Ignored, run down and often severely criticised, all this changed when the last Ambassador rolled out of the Uttarpara plant on May 24 this year. As soon as the news was made public, the nation plunged into sepia-tinted nostalgia. Like many people who had owned or driven one in the past, we too scrambled to drive down memory lane. Our search for three of the first cars in the series took us to Pune one balmy summer morning. Using Pune’s recently redone council hall as an appropriately ‘sarkari’ backdrop, we immediately encountered a ton of nostalgic government employees. They interrupted our shoot, fished out their phone cameras and came up and shared stories with us. The car that gets the most attention, naturally, is the black Landmaster. An Ambassador in everything but name, the 1954 Landmaster, or Morris Oxford Series II, came with a semi-monocoque chassis that allowed it to be very spacious on the inside. 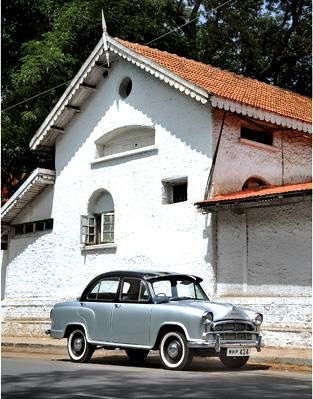 The car cost Rs 10,000 when it was launched in 1954. 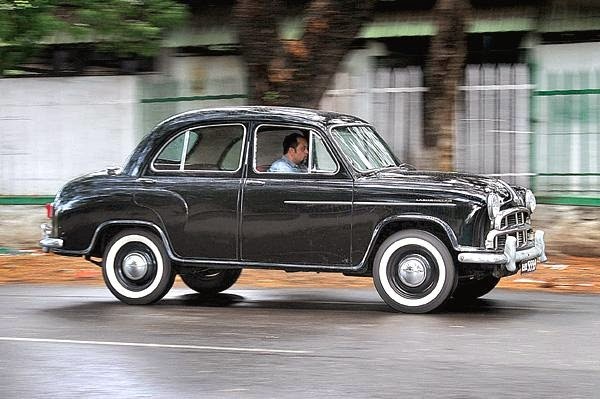 Slipping behind the wheel, however, quickly highlights the differences from a regular Amby. 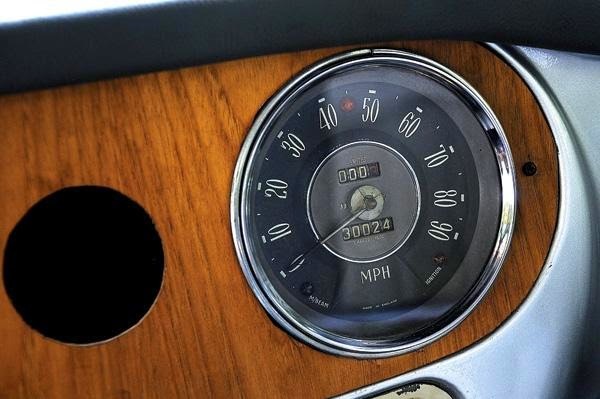 The dash, with its deep pockets on each side, seems incredibly practical and the patina of the twin dials on the dash looks special too. Also different is the bakelite steering, and the way in which you pull the toggle switch on the right of the key to fire the engine; it feels super cool. The car initially came with a 1,489cc side-valve engine that developed a decent 50bhp at 4,200rpm and gave the car a top speed of 119kph, but this one has an updated motor from a later Amby. This Landmaster also rides and steers slightly differently from a regular Amby. Feeling slightly lighter on its feet and faster into corners, it feels a bit more compact from behind the wheel too. The car initially came with a 1,489cc side-valve engine that developed a decent 50bhp. 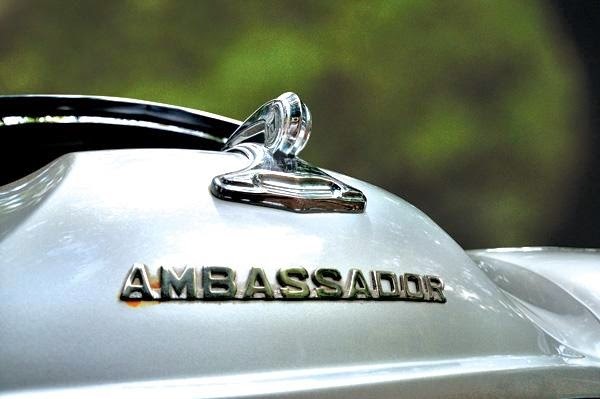 The car that evolved from the Landmaster in 1957, the Ambassador feels much more familiar. Apart from the mini tail fins, full-size boot and new dimpled bonnet, HM also replaced the dash and steering. 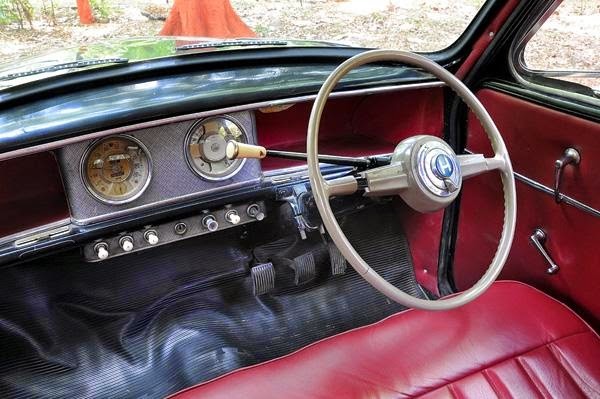 The Landmaster’s flat-plane, two-spoke steering wheel gave way to a very large, deep dish, four-spoke unit, and in 1959 the side-valve engine was replaced by the 1,489cc, 55bhp overhead-valve BMC B-series motor. The visual link to the earlier Landmaster, that frowning Morris chrome grille, however remains. We think it’s absolutely fab. The Mark I cost Rs 17,000 when launched, and was in production for only six years. As a result, it is far rarer than the later Ambassadors. To anyone who’s driven one of these lovely ladies, the driving experience is just unique. The famous back seat, comfortable as a sofa. Settling down into the seat is an act of nostalgia in itself. The heavy doors open and shut with a familiar ‘clop’, and the sofa-like bench seat, as always, feels way too close to the huge four-spoke steering wheel. Heavier to steer than the Landmaster, the Mark I feels bigger on the move too. We set off with a gentle purr from under the hood, the vague gear lever finally slotted into first after much trial and error. Driving the Amby, especially at slow speeds, also gets us to recall how heavy these non-power-assisted old girls were to drive; it’s all elbows and triceps and shoulders and biceps. Your wrists hardly ever come into play. On the move, the Mark I also feels wheezy and a bit breathless in first, the Smiths speedo needle barely getting off its perch. And it’s ages before we settle into a comfortable cruise. Performance clearly is glacial. Then, however, comes the best part; letting the Amby do what it does best. 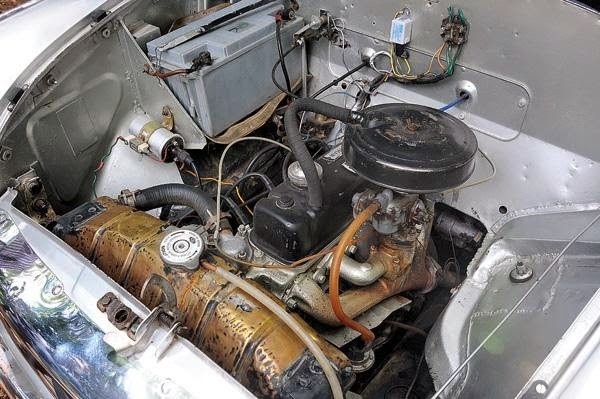 Sat on the sofa, the well-oiled motor barely ticking over, the Amby effortlessly covers ground with hardly a murmur from under the bonnet. And it just feels great. We slow a bit for a poorly paved patch, and expect to be rudely tossed around, but the MK I just glides over all the rough stuff, composure barely affected. it provided the platform for the car. Then of course, we forget that the old girl isn’t exactly a BMW, and enter a corner carrying a bit too much speed. The horizon starts to tilt, and just doesn’t stop; but the Amby sails through. Whew. The other thing that gets the beads of sweat out are the brakes. The term ‘wooden’ must have been coined during the road test of this car; like all Ambassadors we’ve ever driven, this one has just hopeless brakes. The Mark I was also the car that started a lot of the Ambassador’s idiosyncrasies. The indicators, mounted on top of the steering hub, for example, feel just delightful to use, the headlight flasher button on the floor is simply unique, and the cabin light switch borrowed from your electrician at home – why, that’s Indian ingenuity at its best. The Mark II, however, is the car we relate to the most. 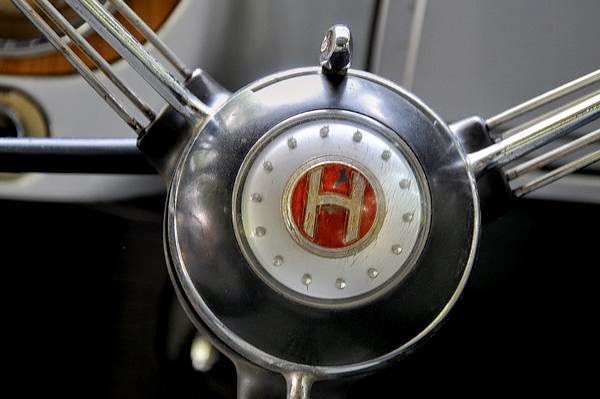 Launched in 1963, this model reigned for 12 years and was the car we learned to drive on. Mildly altered from the earlier version, it came with a new grille up front and new tail-lights. Memories come flooding back as soon as we sit in the cabin. Learning to drive on the football ground in school, being stuck in first gear on a long-distance drive, pushing the car on a hot day, tying up the throttle butterfly after the accelerator cable had snapped, holding on in terror as the speedo crossed 110kph – we swap all manner of Amby notes and tales. We agree that the handbrakes never worked, that we used a rag over the fuel pump in summer, and was there anything better than a night on the town in the Amby with six of your friends in tow? 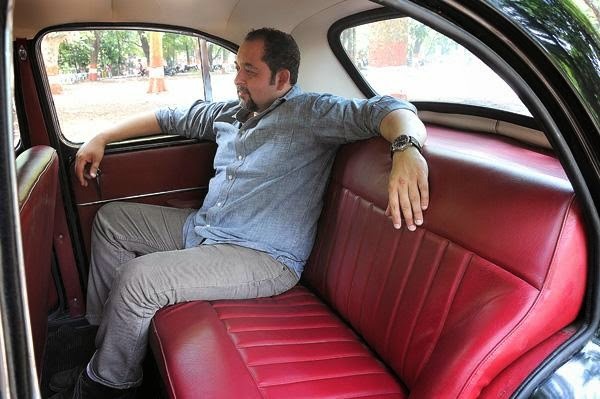 Despite the car’s underlying flaws, the Amby continued to rule Indian roads, and a lot of that was down to the fabulous rear seat. All three cars had rear seats that were placed at the perfect height, thigh support couldn’t be better, and they all had really supportive backrests too. No wonder Ratan Tata proclaimed that the rear seat of his then-new Indica would deliver the same levels of comfort as an Ambassador. We got the barely altered Mark III in 1975, the Mark IV got square turning lights and not much else in ’79 and the Nova, launched in ’99, got an all-new 1.8-litre Isuzu engine from the Contessa. 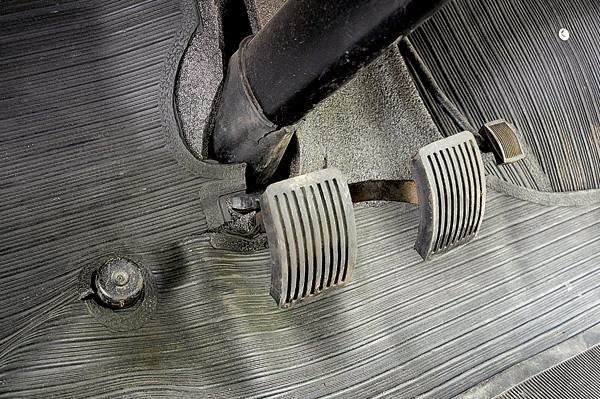 A diesel engine was shoved under the hood in ’99 as well, but that’s best forgotten. Foot-operated dipper switch next to the clutch. And still the Ambassador soldiered on. Government officials loved the comfort and pomp it delivered, and taxi drivers across the country were nuts about it too. It even got a redesign in 2004, when automotive historian and designer Manvendra Singh cleaned up the nose of what was eventually called the Avigo really nicely and gave it a modest tilt. In 2013, HM even launched the Encore, a BS IV-compliant diesel; but by then it really was too late. Smith instruments carried on till the early Mark IIs. 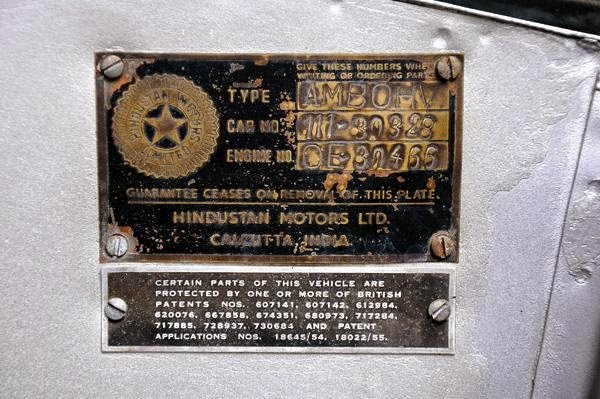 Now, 60 years after the Landmaster made landfall in India, Amby production has finally ground to a halt. This, however, isn’t the end for the car that refuses to die. HM, it seems, wants to take the story full circle. A new sub-four-meter model is ready, complete with a Landmaster-like drooping rear. HM will have to pay considerably less excise on that car, if it ever sees the light of day, and that would make it even cheaper to buy. Can it come back from the dead to claim the record of longest-running production car ever? Don’t bet against it. Also, if you’re interested in a classic Mark I or Mark II, we suggest you move fast before prices get silly. In case, however, the last Ambassador has been produced and we don’t see a new one in a showroom ever again, it’s goodbye old girl, cheerio and thank you for the memories.